Fiji’s original coup leader Sitiveni Rabuka has warned that his country has been a nation of parasites under its current military ruler who has no credibility left. 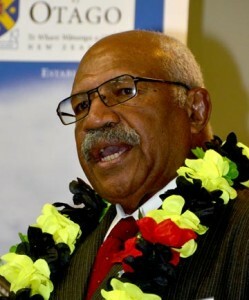 Rabuka, 64, issued his warning in an interview with Fairfax Media as well as in an address to the University of Otago Foreign Policy School in Dunedin. He also announced he was available, if asked, to become a member of parliament in any democracy restoring elections in Fiji which may be held in September next year. Since a coup in 2006, military commander Commodore Voreqe Bainimarama has ruled Fiji. Rabuka staged Fiji’s first two coups in 1987 and remained a democratically elected prime minister until 1999. Rabuka said under Bainimarama, Fiji was seeing growing poverty. But he believed there would be an election by next year. Rabuka appears to have ruled out any prospect of becoming either president or prime minister, but left the prospect of a cabinet seat open. Rabuka compared Fiji to the last days of the Soviet Union where the standard of living was plunging. He noted that Bainimarama’s regime was building homes for indigenous people, calling this “spoon feeding and vote buying”. It was degrading to people. Although Rabuka says he wants to return to a parliament, it depends on whether he is asked to do so by the chiefs of his district. He does not know if they want him. “I don’t have a personal desire… I can offer a solution, I can participate in the search for resolution,” he said. He does not want to be part of any military regime backed political party. “I would rather stand with my own ideas of democracy,” he said. He agreed he was what Bainimarama called the old school of politicians who had ruined Fiji. Bainimarama has yet to release a new constitution or electoral rules, several political parties have been allowed to form. Bainimarama has not yet said what he will do in a future election but Rabuka noted that “he is making all the rules” at the moment. Bainimarama has not said if he will contest any future election. 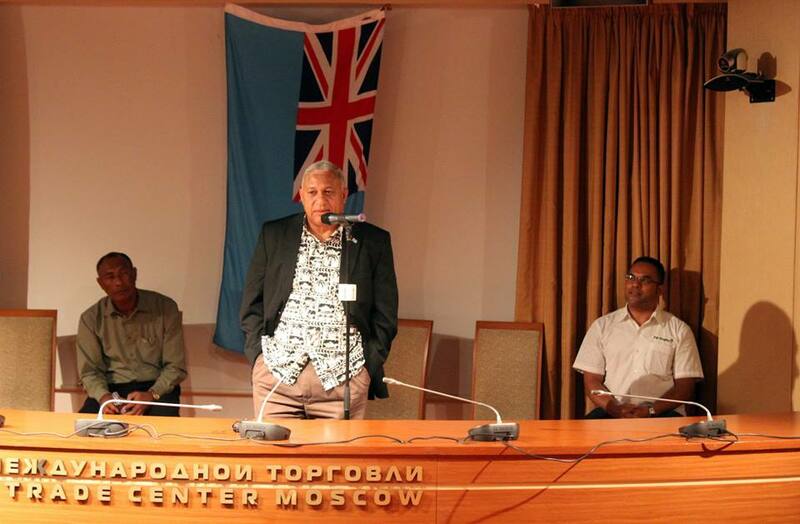 At the foreign policy school, former New Zealand High Commissioner to Fiji, Michael Powles, termed Rabuka a criminal who had taken part in the crime of treason. 3 Responses to "Rabuka fires warning shot at Bainimarama"
Qori..sa baci basika mai o koya! Sa rauta mada.